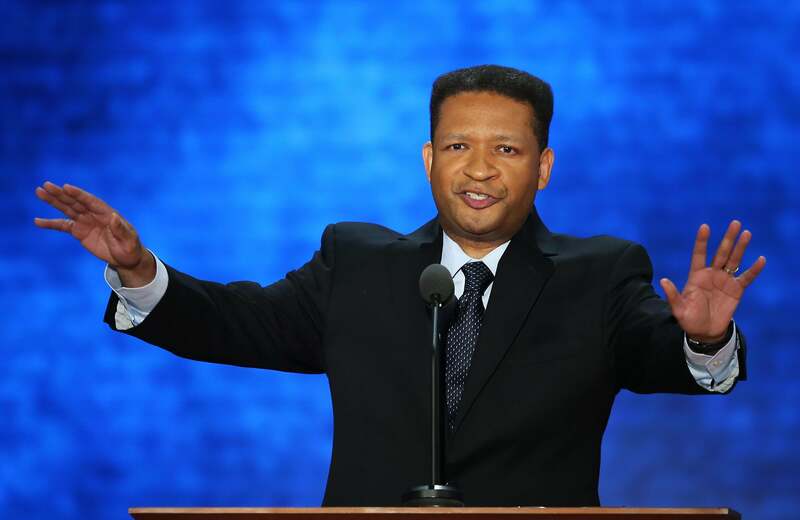 Former Rep. Artur Davis, feeling the love at the Republican National Convention on Aug. 28, 2012, in Tampa, Fla. This is a time for celebration: For only the second year of the Obama presidency, the holidays are not defined by Washington crises. No Obamacare vote, no Bush tax cut deadline, no fiscal cliff. The political world has, reasonably, blinked off; idly turning on some morning cable shows, I saw serious people wearing Christmas pajamas. That indicated to me that I could take some time off to write my book, and wouldn’t miss much. So, back to the prog grind, though I’ll post a few things as the year ends and the new one begins. As a reporter, he has a blend of insider knowledge and careful inquiry that has been lauded by many, including me, especially during the school shootings in Newtown, Conn. He is nothing if not confident, dismissing his critics as ankle-biting, agenda-ridden bloggers who could not be compelled to get out of their pajamas and do actual reporting. That’s a telling fetishization of “shoe leather” from a reporter who goes back and forth from the media to government jobs. In his mind, showing up and talking to people is inherently more valuable then research that might actually reveal that the people are lying. I’m not sure what clothes Glenn Greenwald wears when he spins his leaked documents into articles, but any one of them contains more useful journalism than Miller’s lazy NSA report. John Stanton reports on the life (or “life”) that the deported make for themselves after they’re sent back to Mexico. People in politics aren’t known for candor about their goals, but I will be direct here: a year ago, my plan and ambition was to run for Frank Wolf’s seat if he retired. But a year is a long time to reflect. In making this decision, I have decided to focus on the reasons I entered politics 15 years ago: to bring communities together and to be a constructive voice on issues like education and poverty. Joining the Republican Party, by the way, has not shaken those values: it has only reminded me of how important it is to awaken them in my new party. How dare we shortchange Ronald Reagan’s vision of a shining city on a hill where we bore one another’s burdens and Jack Kemp’s passion about an opportunity based society? But campaigns can’t be about wishful thinking. I know full well that the national political climate is too polarized and ideological to make Congress the forum to achieve the values that drew me into politics in the first place. I also know that in the current environment, the process of competing for a partisan nomination wouldn’t exactly allow me to run a campaign focused on building common ground. Frankly, I would relish an opportunity to lead on the issues I care most about, whether as a public servant or as a citizen. That time and place, however, is not Virginia’s 10th District congressional race. And Dylan Byers and Hadas Gold recap the year in media failure.